Workshops and onsite training courses are available in most major areas of NZ, including Auckland, Wellington, Christchurch & Dunedin. We also run regular courses in Australia, see the course schedule for details. Get the best from your iOS device by starting with our iOS 101 and then you can explore other options with our iOS for Creatives or iOS for Business courses. For educators there's the iOS for Education course which covers many uses of iOS devices in education. Also check out our free tutorial area for tips and tricks. 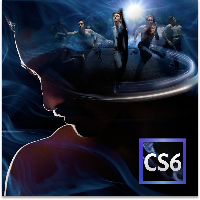 Get the best from your Adobe CS6 Creative Cloud membership by getting up to speed on many Adobe applications including, Photoshop, Illustrator, InDesign, Premiere Pro, After Effects, Audition, Speedgrade, Edge Animate and Muse. We also provide training in Adobe Photoshop & Premiere Elements for those just starting out. For photographers we have Lightroom and for anyone wanting to publish their own iPad apps we have a workshop for the Adobe Digital Publishing Suite. We can help you get up to speed with your new Mac on our "Your New Mac" workshop or if you're already a Mac user we can provide training in iWork, iLife, Apple FCPX, Apple Motion, Final Cut Studio, Logic Studio or Garageband. Handy Training is an AVID certified training partner and we are proud to be offering the AVID Media Composer 7 Certified User course. We also offer a special course for FCP users moving to Media Composer.